Picking the perfect house takes time, thought, and above all else, a feeling that you can turn it into the right home for you. 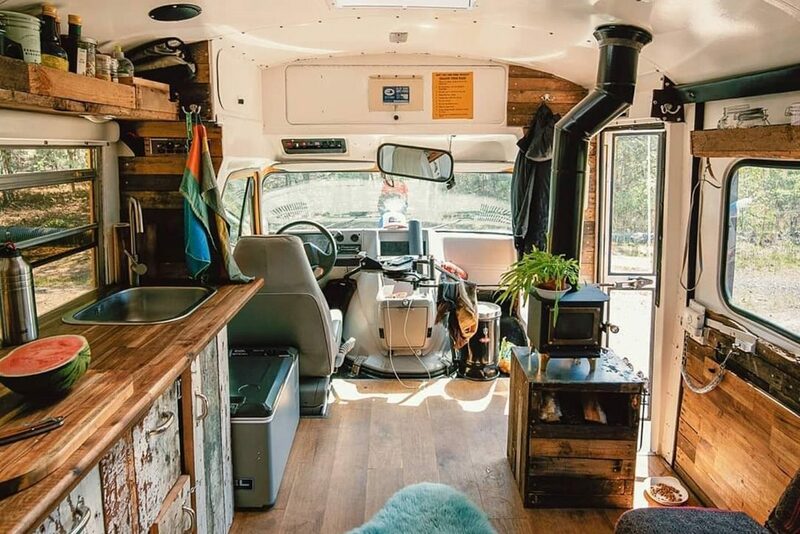 Tiny houses are becoming increasingly more popular thanks to Instagram and Pinterest, and more and more people are turning towards the idea of living in a van. But if you’re new to the movement then where on earth do you start, and the question that usually crops up first is, “What is the best van to live in?”. We’ve compiled a list of ten of the best vans to convert into rolling homes with a couple of our favourites thrown in for good measure. Before we kick off, we know that a lot of our readers are looking to buy second-hand vans for their conversions, and indeed for campers that have been prebuilt by individual companies (it’s what we’ve done, and It makes sense if you want to spend more money doing up the inside!). With that in mind, we’ve got a few tips and tricks for making sure that the vehicle that you’re buying is in good working order. Feel the bonnet before you switch the ignition on. Some dealers or sellers will warm the engine up before your arrival so that it looks as though the van starts up on the first time. If the bonnet is cold and it starts on the first go, then you’ve got a winner. Place a hand near the exhaust pipe while the engine is running. You want to make sure that no black soot is coming out with the exhaust fumes. Check the engine for signs of exterior wear and tear, and have a good look at the underneath of the chassis and exterior panelling for any signs of rust. Look closely as they’re easy to cover up! Finally, ask as many questions as possible and do a DVLA check for previous owners before you go to look at the vehicle. Take a mechanic or a friend who knows their stuff with you if you’re a little unsure. Ok, now let’s crack on with our best van to live in list! 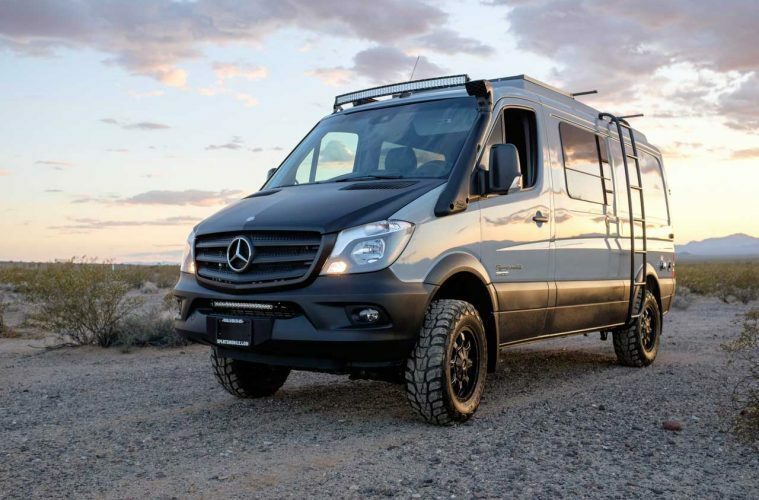 The quintessential conversion vehicle has to be the Mercedes Sprinter, the ultimate off grid home. Mercedes Sprinter Conversions come in all shapes and sizes and are usually the go-to vehicle for many conversion companies thanks to their durability and power. If you’re looking for a sturdy base vehicle that is still reliable even when you get into ‘hundreds-of-thousands-of-miles’ territory, then a Sprinter is the van for you. Mercedes are a global name in the motoring world, so whether you break down in Morocco or lose your exhaust in Kent, parts and spares aren’t hard to get hold of, which can be useful when you’re in a bind. There’s also lots of aftermarket products and specially made gear that you can buy to fit your Sprinter too, making it one of the most malleable vehicles on the market. 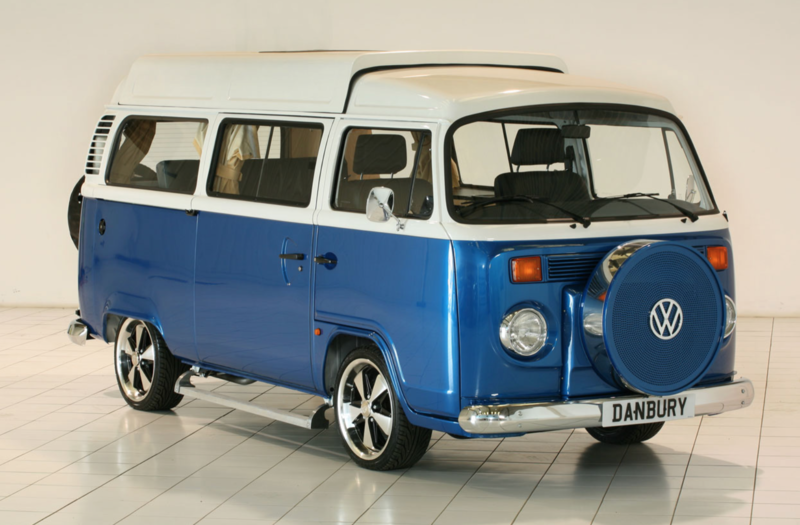 A personal favourite of Brandon’s (he’s Van Clan’s founder and an all-around VW enthusiast), the VW Bus has been the top choice of ‘best van to live in’ for many since the 1970’s. From the So-Cal surf days through to today’s Digital Nomad, the Volkswagen Bus Camper is an iconic vehicle immersed with vanlife culture, and when you take a look at these busses up close, it’s not hard to see why. The early VW busses aren’t in production anymore, so parts can be hard to come by or expensive to purchase. 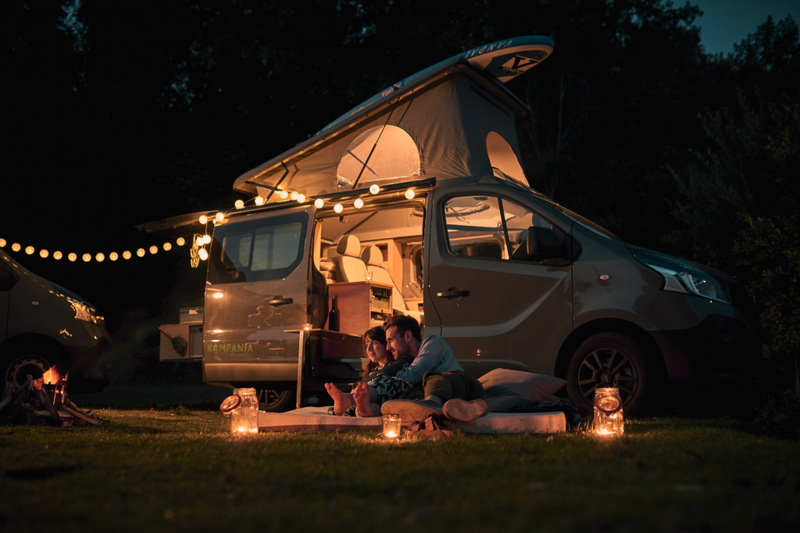 Smart individuals and small businesses with access to a 3D Printer are starting to make some of the smaller interior parts themselves, while other companies specialise in replacing VW Bus engines with 100% electric options, turning your classic rides into top eco campers. These busses are loved today just as much as they were almost 60 years ago and remain the quintessential van for that ‘summer of love’ feeling. I couldn’t wait any longer for this one. 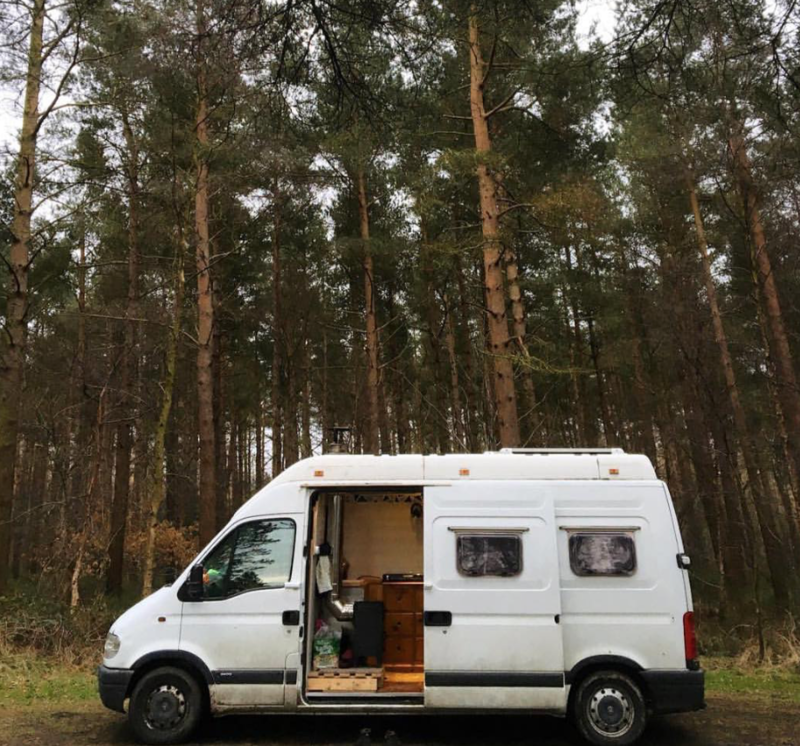 This is the van I used for my very own rolling home, and I’ve got almost 14 months Van Life experience from living in it full time here in the UK. We bought a 2003 model, 90K miles on the clock and with a fibreglass maxi roof. This is one of the tallest vans I’ve been in (it’s tall enough for Rose to do a headstand in), and It’s served us well on our UK Van Life journey thus far. Another classic VW product on the other side of the vanlife scale to the famous VW Bus. 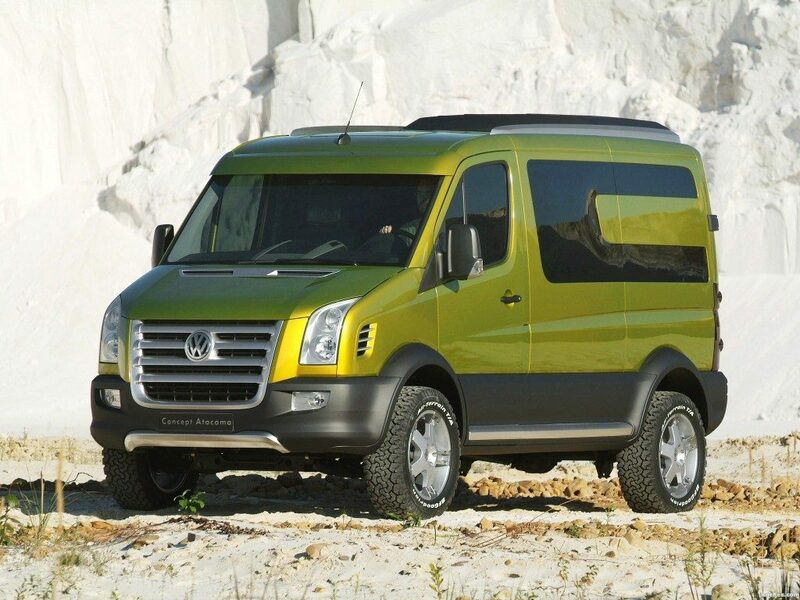 The VW Crafter, like the Sprinter and the Movano, is a commercial vehicle for transporting goods. Because of its spacious nature and the fact that its a quality build from a name that you can trust, it makes it a top contender for the best van to live in for many vandwellers around the globe. Parts for Crafters are much easier to obtain than their retro cousins as they’re still in production today, so don’t worry about visiting a garage on the other side of the world on your travels. These vans can cope with rough terrain just as well as they cruise down motorways and country lanes, and are a top choice if you’re looking for an LWB vehicle that doesn’t cost the earth. A British classic and the van of choice for white van men everywhere. The Ford Transit could be considered the best van to live in because it’s a universally renowned make and build that is cheap to pick up and built to last (providing that it’s been looked after of course). The Ford Transit Camper is usually an MWB vehicle, so it’s a little smaller than the likes of the Sprinter and the Movano, but you can get LWB and E-LWB for those that want the extra space for onboard showers etc. The Ford Transit Camper Conversion is a natural choice for the vanlifer in training that doesn’t have a massive budget but wants a quality van to get them going on their travels. It gets a hard rap from some people in the business, but we think that they’re great runners and their shape makes them easy to add wood panelling and interior features without too much hassle. It might not suit if you’re looking for extra headroom so try out a few different models before you buy. Why do we like this little adventure bus so much? Well, they can take on pretty much anything that you throw at them, and they look very homely inside once converted. The windows give ample light, and they’re high enough to have a fixed bed without losing tonnes of living space. 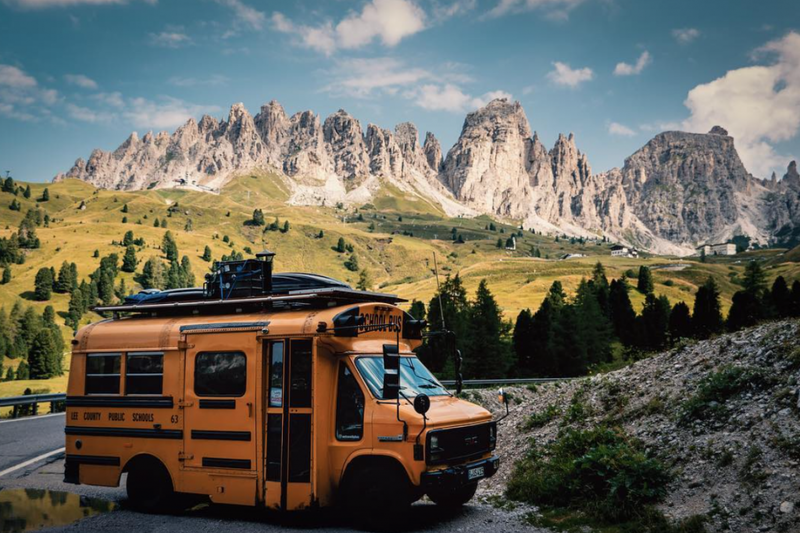 We’ve seen so many different school bus conversions that we’ve lost count (one even had roof tiles on it! ), which means that there’s a network of bus lifers out there who can help you out if you’re stuck on what to purchase or having mechanical problems. Trust in the people and buy yourself a bus! 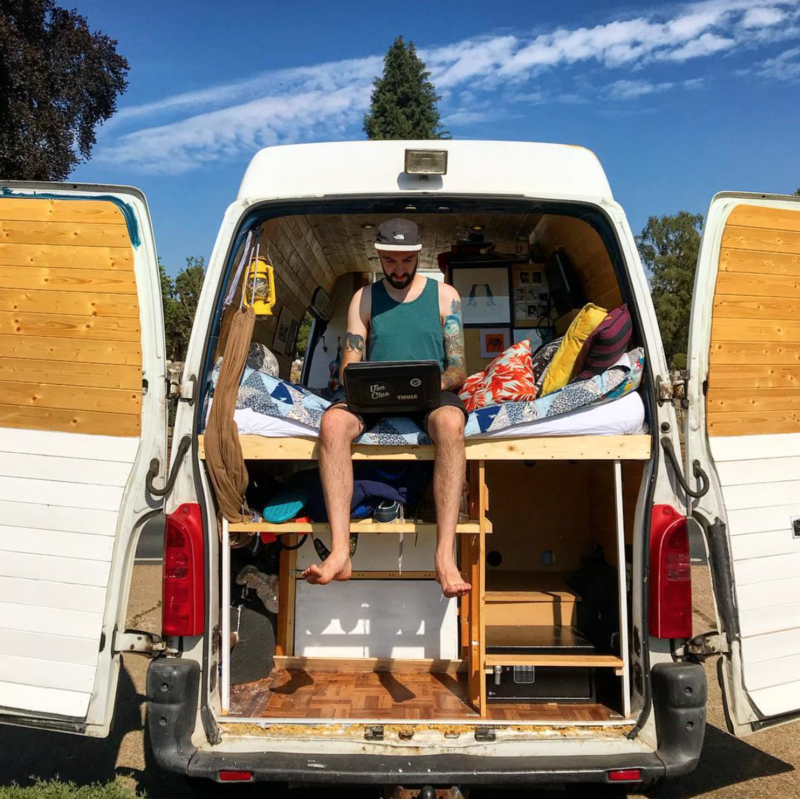 Is A Self Converted Van The Best Van To Live In? Not at all! If you want to get a van that’s pre-built and cuts out the hassle, then that’s fine by us. The bonus of buying a pre-built camper is that if anything goes wrong with the interior fixture and fittings, then the deal can usually either fix it themselves or recommend someone good that they use themselves. 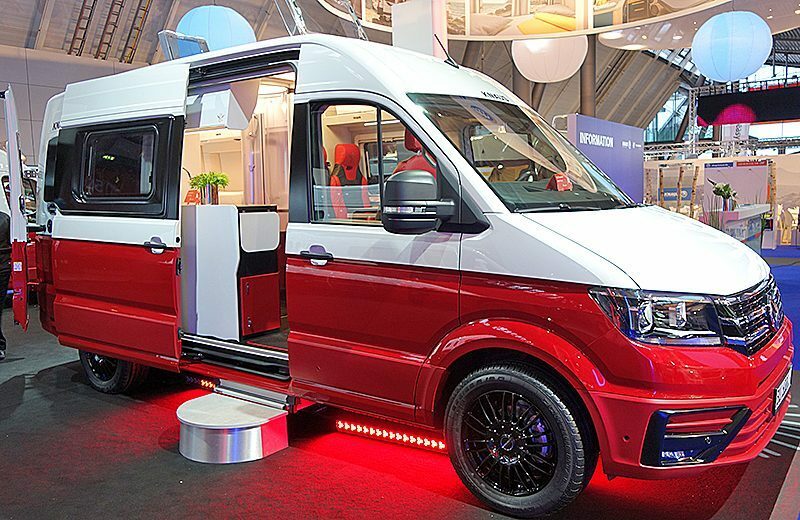 Ready to roll coach-built motorhomes will always be here to stay, so let’s take a look at a few different options if converting a van isn’t for you. Renault, Citroen and Vauxhall vans are usually very much alike; in fact, they’re pretty much the same vehicle with a slightly different exterior and badge. That being said, the Renault Trafic has seen some major conversion upgrades by certain companies that have thrown it ahead of its competition. 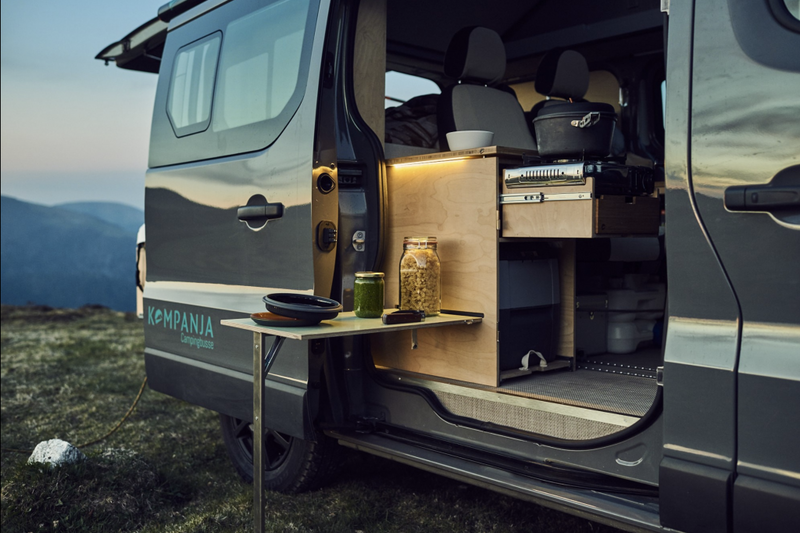 Take German conversion company Kompanja, who have turned a ‘run-of-the-mill’ goods vehicle into a camper with attitude, showing us the possibilities that can come with purchasing one of these vehicles. In its base form, the standard traffic van isn’t the best vehicle for long-term off grid living because of it’s height, but its perfect for the weekend warrior who likes to get out whenever they can. If you buy a ready-made conversion or are thinking about adding a pop-top into the equation, then everything changes. Being able to stand up in your home is the one thing that we believe is essential if you’re on the road 24/7, and the addition of extra height would undoubtedly make us reconsider adding one of these to the Van Clan mobile fleet. Knaus is well known for making futuristic looking vehicles with all of the mod cons that you could ever need for life on the road. They’re a serious contender for the title of ‘best van to live in’. With space-age LED lighting, a clean and comfortable living space with luxury leather seating, a master bedroom and an onboard shower, the Knaus Boxdrive CUV is a luxury van that doesn’t cost the earth. 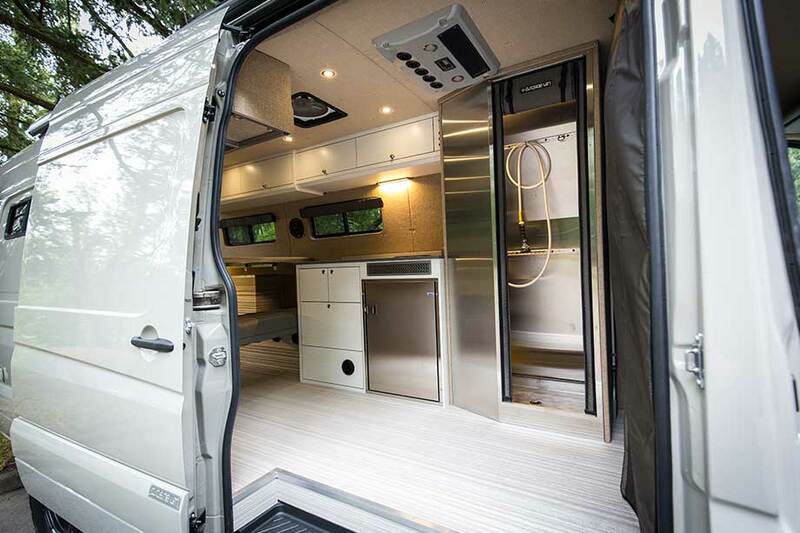 This ‘Caravanning Utility Vehicle’ is based on the VW Crafter that we touched on above, so you can see what can be achieved if you do want to convert your own home on wheels. I love the country-house-on-wheels that Rose and I converted in our Movano, but there’s no way that we could compete with this factory-made finish and the stylish, sleek interior that you get from a proper company made model. The Knauss. 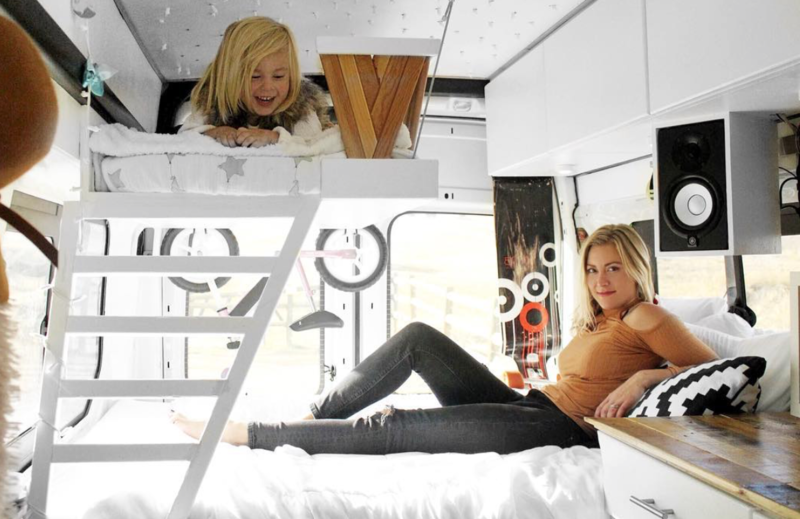 It might not have all of the extras that some of the more expensive vehicles have, such as the EarthRoamer or the VW California XXL, but it’s a premium ride and one that should be at the top of your ‘future tiny house‘ list. Like the look of a retro van but don’t want the hassle of maintaining it? 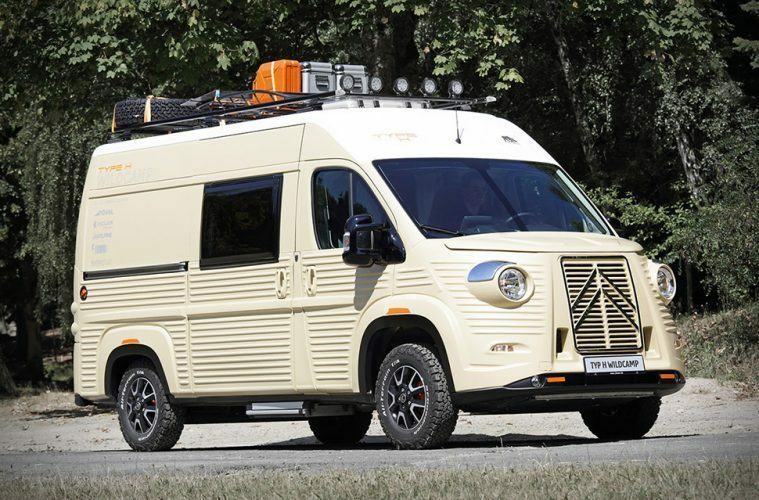 Citroen has come to the rescue with the WildCamp; a modern vehicle with that classic motoring touch. It’s over 70 years since the Type H Van was roaming around our streets, and now the WildCamp has brought this iconic vehicle back to life for a whole new generation of vanlifers to make their own van life stories. Any vehicle that uses the words ‘wild camp’ is bound to be built for off-grid living, making this the easy choice of ‘best van to live in’ for those adventures that just want to buy a vehicle and get out into the wilderness on the same day. With its nostalgic retro feel and modern interior, you’ve got yourself an Instagram star in the making. More importantly, the CUV is comfortable, spacious, has enough room for all of your top cooking accessories and campervan gifts, and it’s a reliable van that you can trust to get you to your destination without feeling like you’ve been on a roller coaster for half of the journey. 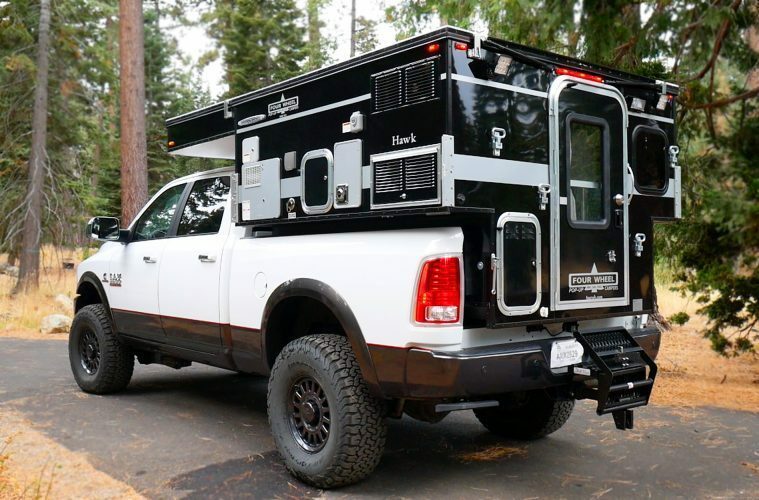 Got your own truck but don’t want to buy a separate camper for the weekends? You need to give Four Wheel Campers a try. These camping pods attach directly to your truck bed and can be removed and put into storage whenever you like. We were lucky enough to be flown out to California to spend a bit of time in these beasts, and we couldn’t believe how user-friendly they were and how quickly we made them feel like home. 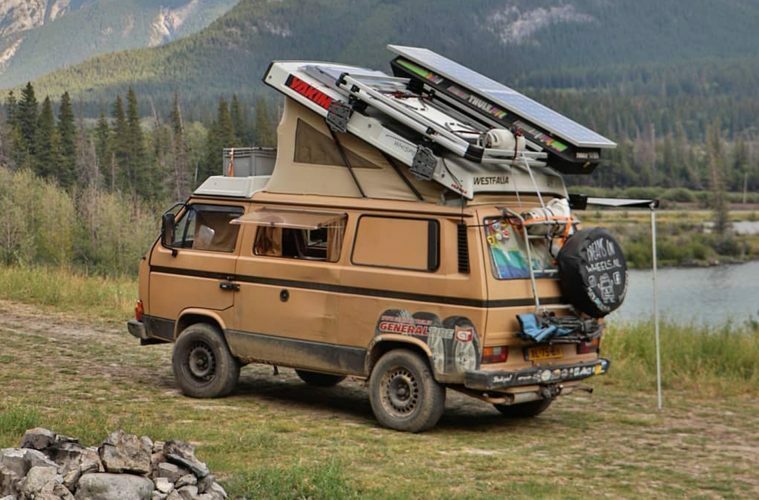 The pop-top on these four wheel campers provides ample space for standing, cooking and working, and the bed pulls out to make a sleeping platform that you never want to leave. 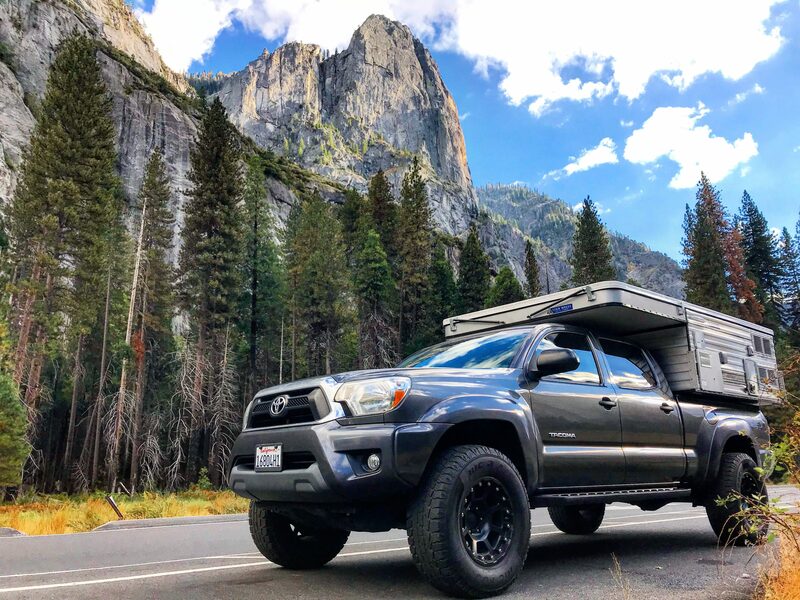 These camping units turn the best truck to drive into the best van to live in, and we would thoroughly recommend checking out the Four Wheels Co website to find out more information and to locate a dealer near you! A Mercedes-Benz Luton Box van can make a perfect home and could be the best van to live in as they allow you so much space. The Luton is still a fairly unusual choice as but is growing in popularity thanks to the rise in self conversion and independent campervan conversion companies. One of the best things about a Luton van is that the extra space above the cab of the van is large enough to comfortably hold a double bed that you can sit up in. 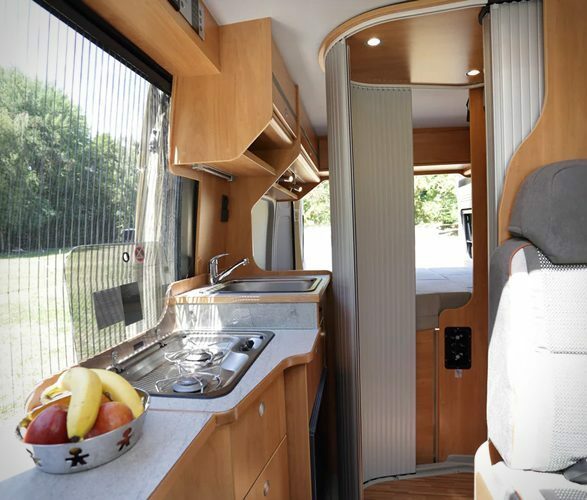 This means that you can use the entirety of the main space solely as a living space and kitchen area without worrying about where the bed should go, this feature gets the Luton a spot on our best van to live in list. 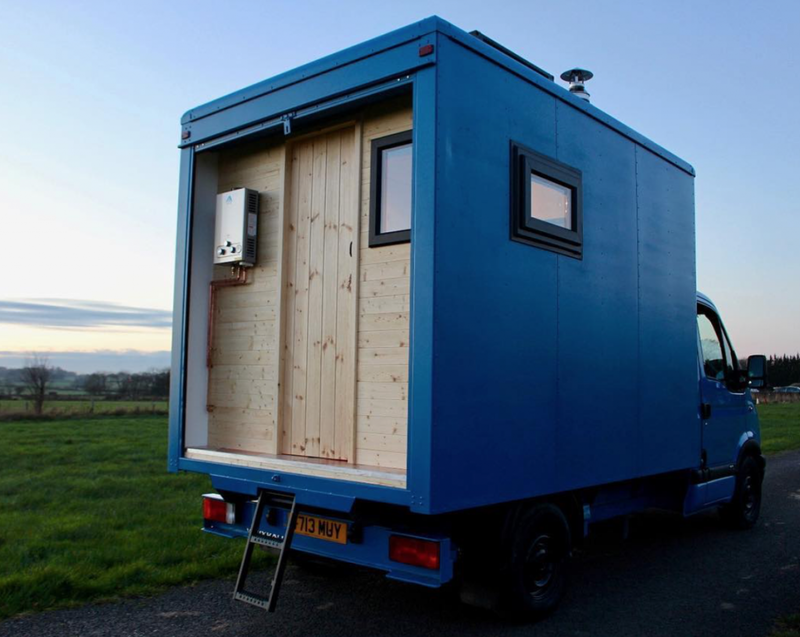 A Luton van is even big enough to create a generously sized bathroom and carry enough water to actually be able to use it! The Luton van is also an easy shape to work with when completing a conversion as all edges are straight and square. These squared edges also allow for more overhead storage and makes the interior feel like a room in a house rather than the inside of a van. The Luton Box Van does boast a large living space but it is also small enough to be able to drive easily and park in most places. They are not an unusual van to see in a city- think removal and delivery vans- so driving shouldn’t be a problem. As they’re made by Mercedes they are reliable and durable so will last a long time and take you anywhere you’d like to go, the most important factor in choosing a home on wheels. 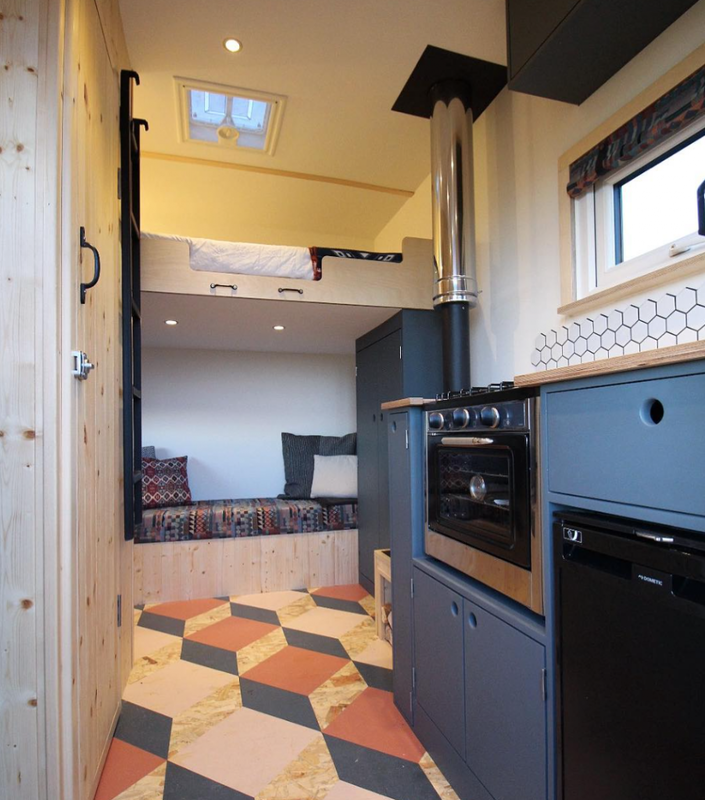 We think the Luton Box van is one of the best vans to live in as there is just so much you can do with the interior as you have so much space! Time to get designing! Thank you for checking out our list of the best vans to live in. I hope that it has given you some inspiration for your own adventures and has helped you to pick a vehicle that is suitable for your individual needs. If you’re still spoilt for choice or need a little bit more help then join the Van Clan community on Facebook, Twitter and Instagram and ask others to help – nothing beats advice from the experts after all! This Vanlife Camper Shower is a great gift for the adventurer in your life. Get the Parrot Anafi for the ultimate drone experience.